Since the beginning of civilization, humans have cheated their fellow men out of goods and money. Therefore, it will come as no surprise to learn that there have been many notorious con artists. Some of them have even made a career and good fortune after their jail sentences! We take a look at some of the most notorious scammers out there – like those who created an entire sold-out festival, convinced thousands of investors to give their money, forged checks, and led people into a “ponzi scheme.” So before you decide to invest some money, buy Christmas gifts on sale, or even trust a doctor, take a look at these greatest scams of all time! Enron Corporation was a US energy, commodities, and services company that operated one of the most controversial accounting scandals. It was discovered in 2001 that the company had been using accounting loopholes to hide billions of dollars of bad debt while inflating the company’s earnings. Shareholders lost over $74 billion. The company’s CEO, Jeff Skillings, and former CEO, Ken Lay, had kept billions of dollars of debt off the company’s balance sheet. The two were convicted, however, Lay died before serving time. Jeff Skillings was sentenced to 24 years. If you voted for your America’s Got Talent favorite this year, you’d better hope that you dialed correctly. One company bought a load of numbers that were almost identical to those given out on the UK shows I’m A Celebrity and Britain’s Got Talent. Taking advantage of those viewers with fat thumbs who misdialed, they would hear “Thanks for voting” and get charged £1.02 plus standard network charges. The company behind the con has since been fined £6,000 and ordered to repay anyone who asks for a refund. 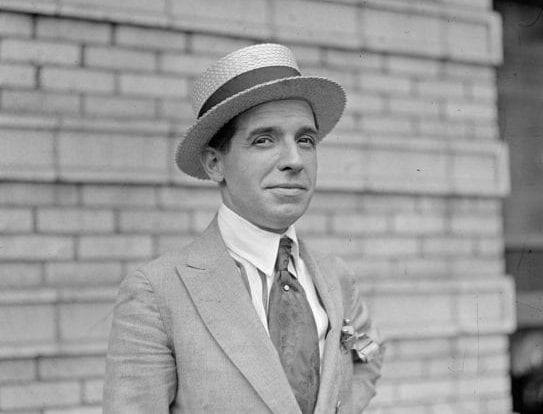 Charles Ponzi was an Italian swindler and con artist. However, despite his name, he was not the one who came up with the idea of cheating people by claiming to guarantee huge returns on investments before paying the earlier investors using the investments of the later investors. Instead, he became so well known that the “ponzi scheme” became named for him. Bizarrely, some of Ponzi’s investors continued to ask him to invest their money when he had been imprisoned for his crimes. Ali Dia was a professional footballer from Senegal who managed to bluff his way into the Premier League. 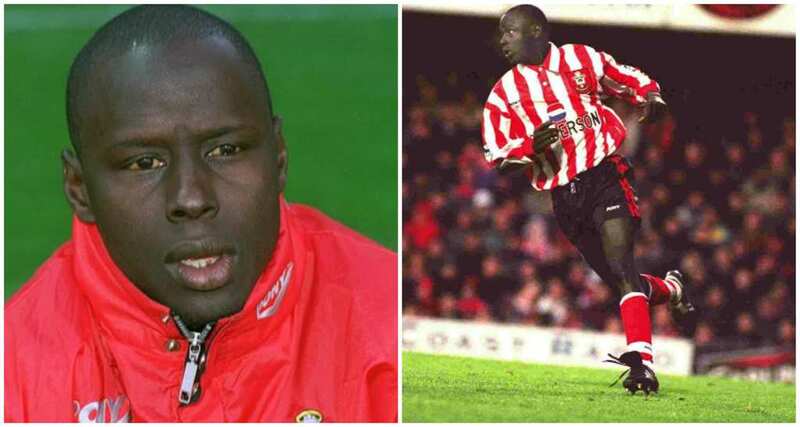 He convinced a friend from university to pretend to be a former footballer Geroge Weah on the phone and tell Southhampton manager Souness that Dia was his cousin, had played alongside him at PSG, and had indeed played 13 times for Senegal. Dia only played one game for Southhampton which lasted 53 minutes before being sent off after failing to impress. Back in 2008, some iPhone customers saw an opportunity and went for it, spending $999.99 on a new app. Surely it was a very special one – like one that could cook you dinner? 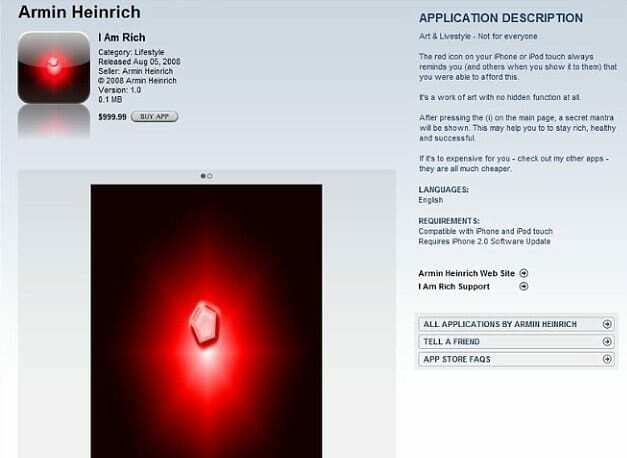 However, you would be disappointed to find out that all the “I Am Rich” app did was show a glowing red gem on the screen. It was only available for 24 hours and was marketed at the highest price allowed. Eight unfortunate people purchased it but two asked for a refund. Dennis Kozlowski began his career at Tyco International as an auditor and worked his way up to become CEO. He gained a reputation for the growth and success of the company as well as his extravagant lifestyle. 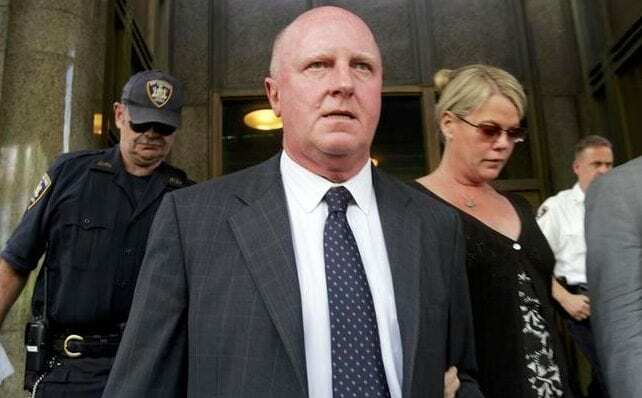 After leaving the company in 2002, he was facing charges of enterprise corruption and grand larceny after using the company as his personal piggy bank. He admitted simple greed had led him to steal more than $150 million from the company, including spending $6,000 for a shower curtain. As we all know, popcorn at the movie theatres is unnecessarily expensive. Chances are you are actually paying more for the bucket itself than the insides. 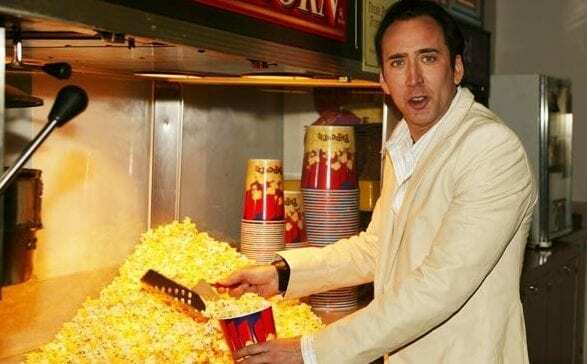 Given that kernels are worth less than a dollar and when you take into consideration the cost of overheads like salt, sugar, cooking, staff wages, ground rent, etc, the estimate is that cinema popcorn sells at a staggering 1,275 % mark-up. Next time, it may be best to do your popping at home. 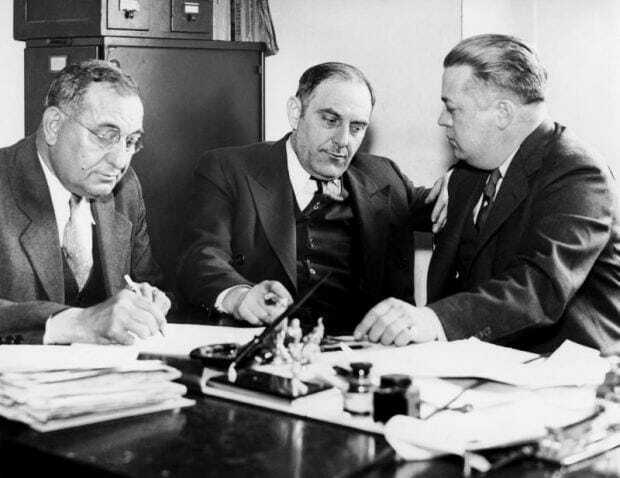 Victor Lustig was the definition of a conman. 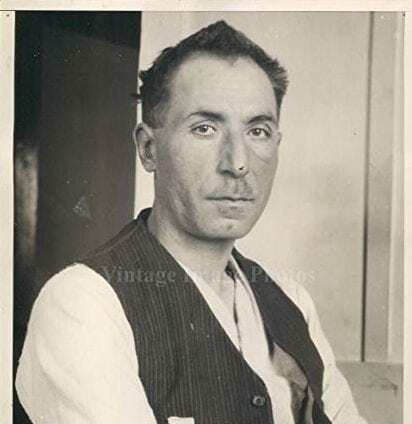 He discovered the Eiffel Tower was in need of repairs and managed to sell the tower to scrap metal dealers (twice) while pretending to be a French government official. 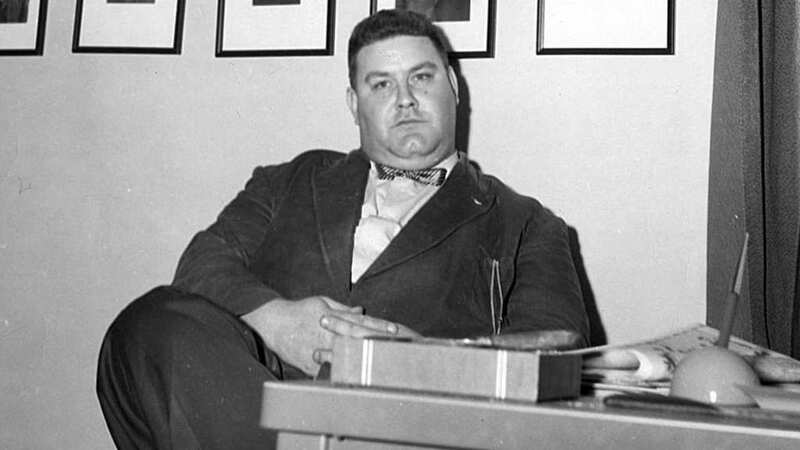 He even persuaded mob boss Al Capone to invest in a deal that would allegedly “double his money.” Eventually, he returned the money, admitting that his scheme didn’t work out. Impressed by his “honesty,” Capone paid him a reward. 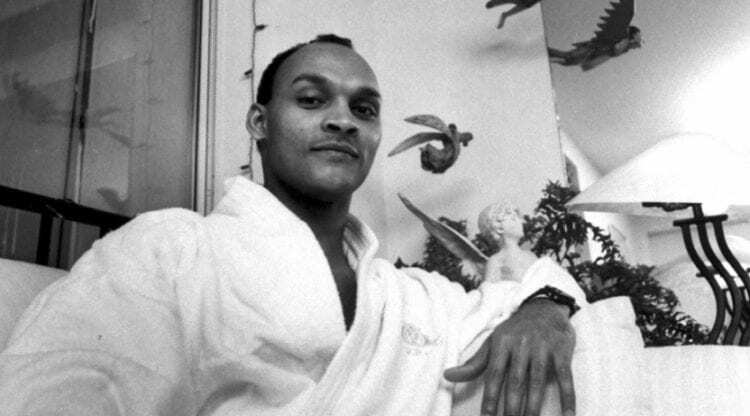 David Hampton became infamous in the 1980s after he managed to convince a group of wealthy New Yorkers to give him money, food, and shelter, convincing them he was the son of Sidney Poitier. He gained the idea after managing to gain entrance into Studio 54 after pretending to be a celebrity child. He began using his fake identity more often to gain more benefits. 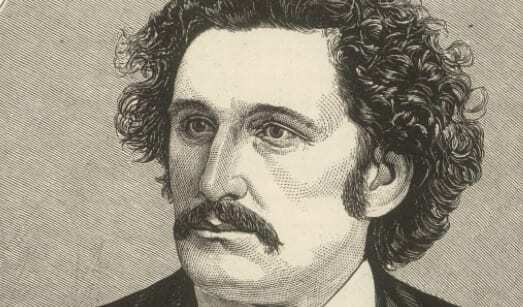 He became so infamous that a play called Six Degrees of Separation was made based on him. Jerry Tarbot certainly didn’t have a good bone in his body. After claiming to have suffered from amnesia as a result of his experiences as a veteran in the First World War, he was compensated for his suffering by the U.S. House of Representatives. However, it was soon revealed he was nothing but a con man. 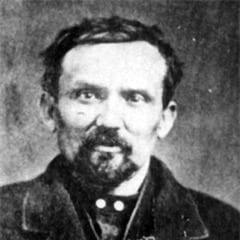 Tarbot was, in fact, a draft dodger named Alexander Dubois, Jr. – a car thief, con man, and bigamist. Sorry ladies, but your entire lives of shopping for toiletries has been a scam. Whether it is razors, perfume, deodorant, or moisturizers, research shows that despite being almost identical, women pay a pink premium of up to 75% more than men for the same products! 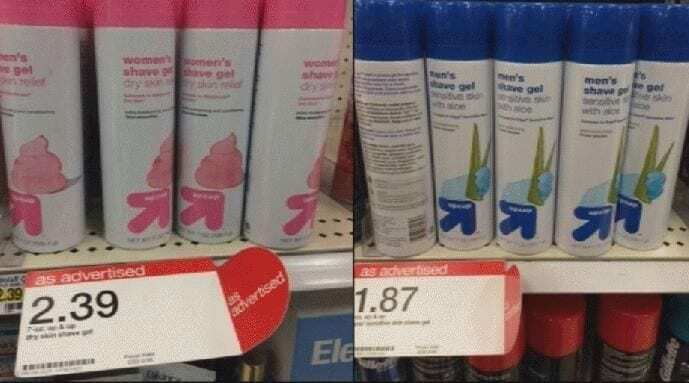 In most UK big high street firms, a well-known razor brand was found to be selling pink versions of the product at £4.39, while the men’s version was going for £3.65. Skincare is discriminating against and fooling you. What is better than cheap airlines? Probably expensive ones! Sometimes there is a small price to pay for such a bargain. 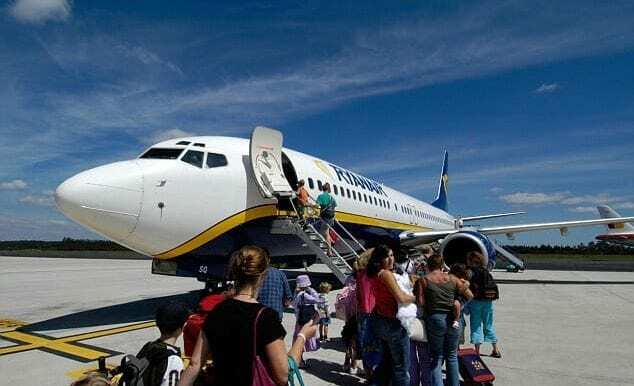 Although you may be excited to find a Ryanair flight from the UK to Genoa for £16.99, it will also include a 2% credit card fee, £15 for checking a bag, and then £10 to select your seat. Oh and don’t forget to check in online or it will be £70. After all that, you could have got about two tickets with a nicer airline. He promoted it as a cure for a wide range of diseases related to the throat or lungs. 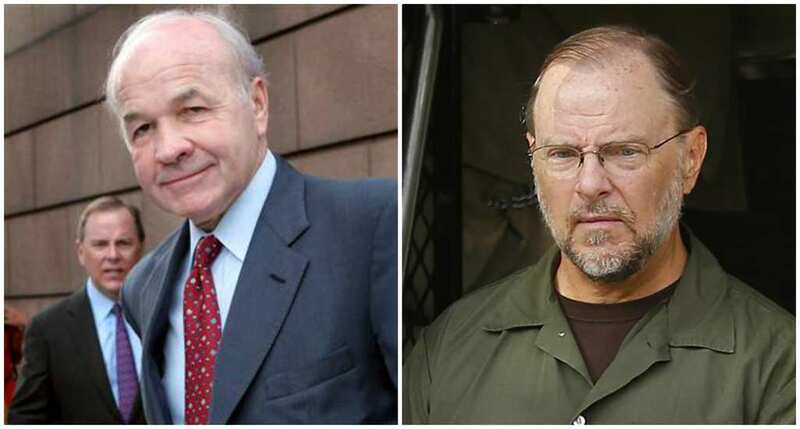 He was also involved in two cases of blackmail as well as tax evasion and the murder of a Boston fruitseller. 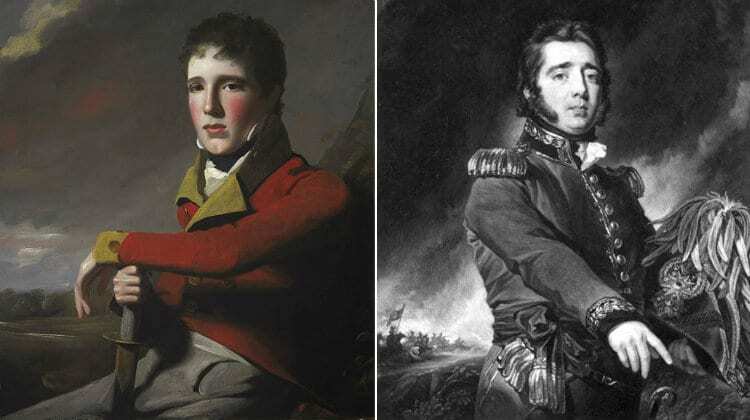 Gregor MacGregor pulled off one of the biggest frauds of the 19th century. He invented a fictional country named “Poyais” and claimed he was the prince of this land, which was rich in natural resources but required manpower. He campaigned so intensely to make people believe him that he even made arrangements to send people there. In 1822, two vessels took under 300 emigrants on board towards this “country.” After landing on a stretch of wilderness, they realized they had been tricked and most died of diseases. Natwarlal started out as a lawyer but soon realized that being a con artist was much more suited to him. His crimes ranged from forging checks to stealing money by pretending to be a person in need. Other exploits involved selling the Parliament House of India along with its sitting members! Perhaps this was a better career choice for him as he managed to escape nine out of nine arrests, even managing the last time as a wheelchair-bound 84-year-old. 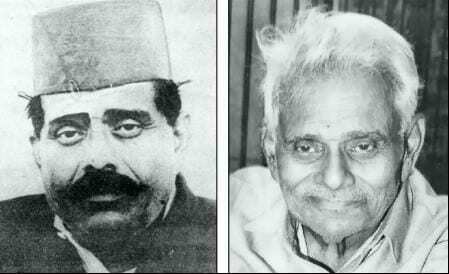 Natwarlal became something of a legend. 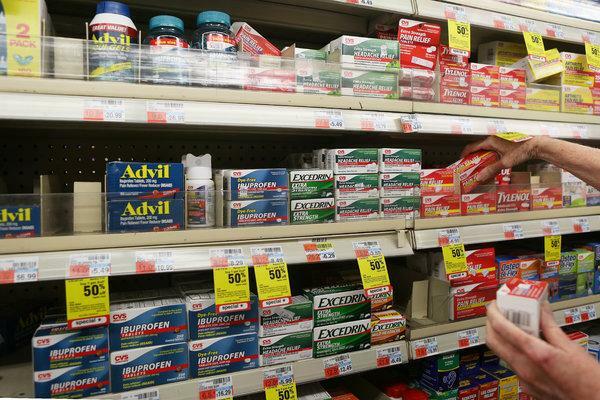 When you feel a pounding headache about to take over, do you reach for the branded paracetamol or the non-branded ones? While we all tend to assume the branded ones are more superior, we are in fact just causing pain to our wallets too. Buying 16 of the basic 500mg paracetamol will cost seven times less than the same number of Tylenol or other branded painkillers, but they are exactly the same pill! William Jones was better remembered as Canada Bill, a con artist who operated on the riverboats on the Mississippi. He was famous for three-card monte, a card-based version of the classic shell game. Feel like your favorite chocolate bar is scamming you? You may be right! 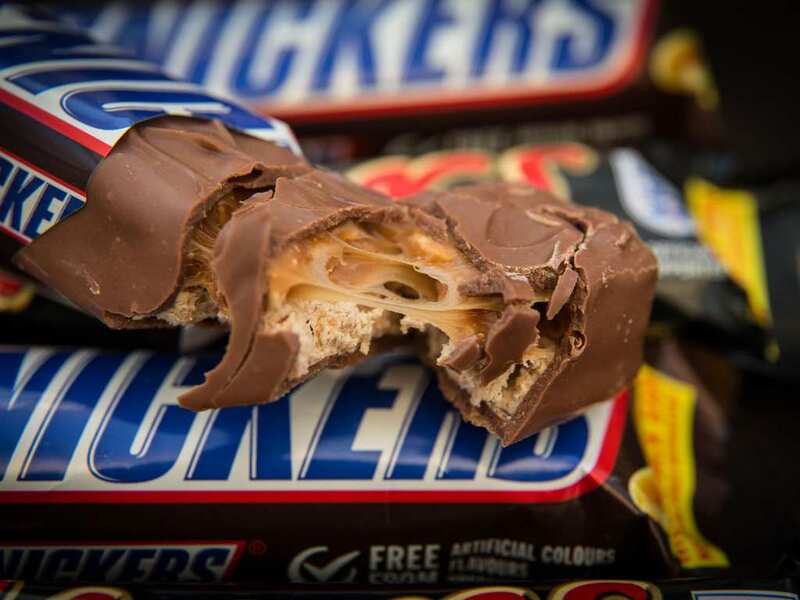 The company behind both Mars and Snickers bars have promised that all their bars would have a maximum of 250 calories, meaning they have been reduced by more than 10%. Therefore, a 58g Mars bar is now a 51g Mars bar and a 58g Snickers bar has dropped to a measly 48g. However, the price has remained the same! It leaves a slightly bitter tasting knowing you’re paying 20% more for each gram of chocolate. Sometimes women can be just as infamous as men for pulling off scams. 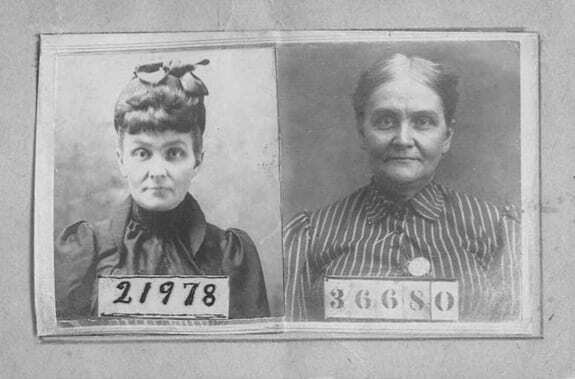 Cassie Chadwick defrauded several U.S. banks out of millions of dollars by claiming to be an illegitimate daughter and heiress of Andrew Carnegie. Banks and other financial institutes were under the impression they would be repaid once she inherited Carnegie’s fortune. However, Chadwick was correct in thinking they wouldn’t check her identity for fear of embarrassment and managed to secure $5 million in debt from the banks in Cleveland. Christmas has certainly not come early. According to the law, a sale item needs to have been offered at a higher price for 28 consecutive days in the previous six months. Therefore, firms use their stores in a remote location to bump up the price and then drop the cost nationally when it is on sale. 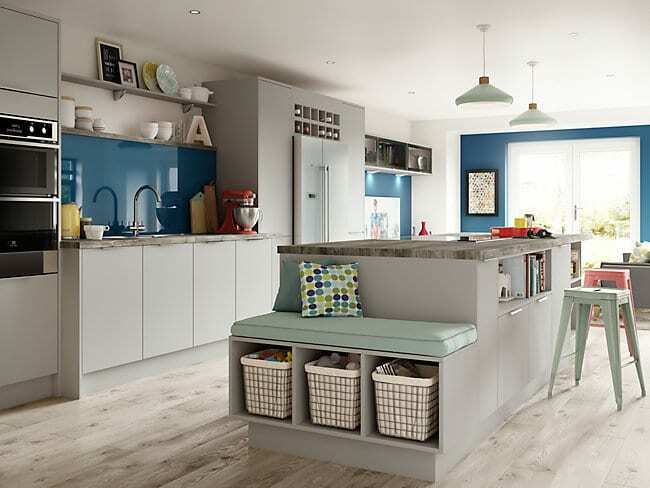 Homebase, Wickes, and Magnet cranked up their kitchen prices by 130% in the run-up to Christmas so when they went “on sale” they were only a fraction cheaper than their original price. Ferdinand Waldo Demara, otherwise known as The Great Imposter, masqueraded as many people – from a doctor, a lawyer, and a monk, to a civil engineer. However, it was not money that he wanted. Instead, he did this for the sake of reputation. This was a shame, as supposedly many of his employers were actually fond of him as an employee. Demara is believed to have possessed a photographic memory and a high IQ, especially given the fact he picked up vast amounts of information for his many roles. Since the start of time, there have been some humans who have set out to cheat others. these people have managed to pull off the greatest scams of all time. In 2008, Bernie Madoff was caught and sentenced to 150 years in prison for running the biggest fraudulent scheme in U.S. history. He was a well-respected financier and managed to convince thousands of investors to hand over their savings, falsely promising profits in return. Overall, he cheated clients out of $65 billion. For those who have seen the movie Catch Me If You Can, you would know the movie was based on the notorious con artist, Frank Abagnale. He was particularly infamous for fooling people into handing him the money collected by businesses at an airport, forging checks, and impersonating a pilot! 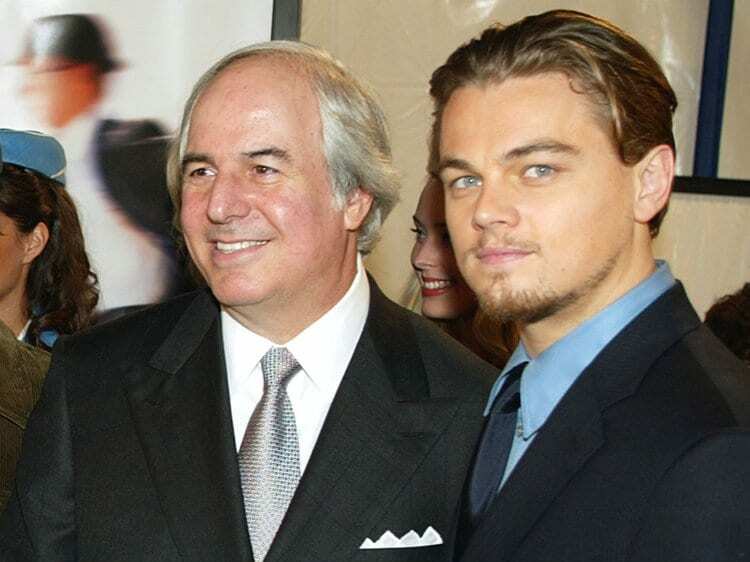 Abagnale was freed from his sentence on the condition of helping the federal government catch other con artists. He became a successful security consultant as a result. We’ve all got to start somewhere! 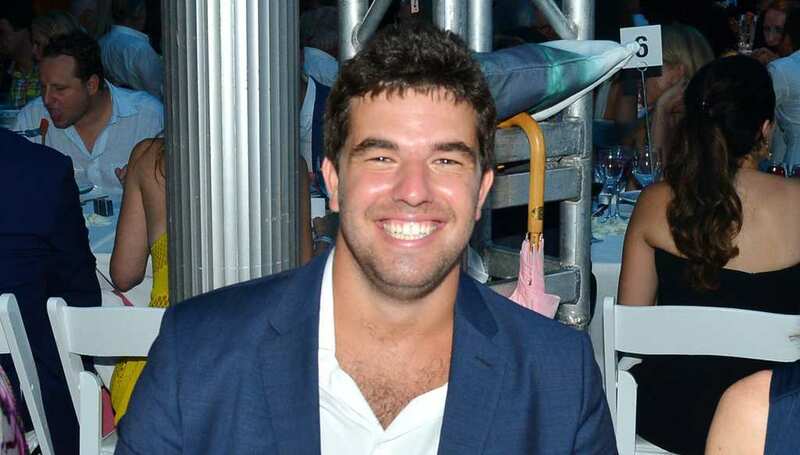 Billy McFarland co-founded Fyre Festival, an elaborate music festival on Pablo Escobar’s private island. But while the festival promised luxury including a $1 million scavenger hunt, guests ended up scavenging for basic amenities like tents and mattresses. 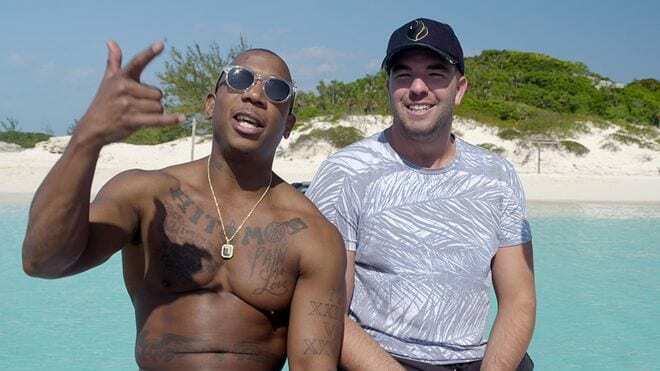 Founders Billy McFarland and Ja Rule claimed they didn’t expect the Fyre Festival to be unsuccessful. McFarland was arrested and charged with fraud. While out on bail, he created another fraudulent company offering non-existent Victoria’s Secret Fashion Show tickets to people who had purchased Fyre Fest tickets. McFarland was sentenced to six years in prison and is currently teaching a course on entrepreneurship to fellow inmates. Meanwhile, rapper Ja Rule says he was too scammed by McFarland.